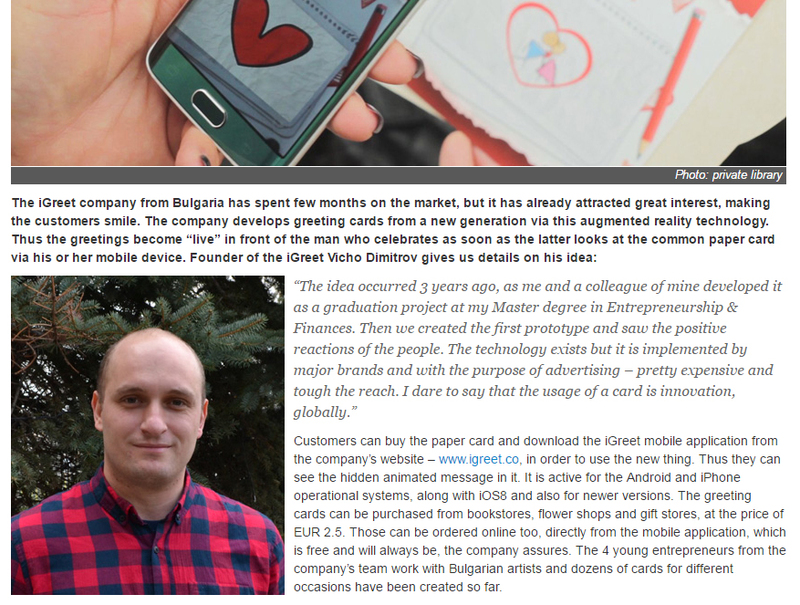 The iGreet company from Bulgaria has spent few months on the market, but it has already attracted great interest, making the customers smile. …the greetings become “live” in front of the man who celebrates as soon as the latter looks at the common paper card via his or her mobile device. You can read the full interview on the website of BNR.